We like to think actors and actresses rise and fall based on their talent, their marketability and the quality of their performances, but the truth is there are a ton of other factors in play, specifically what type of advice the person is getting from agents. The Rock is uniquely aware of that hot fact. His career in Hollywood idled for years, allegedly thanks to some bad advice, before a representation swap changed it all. In a fascinating new piece in The Hollywood Reporter, The Rock speaks candidly about his career and more specifically, the advice he took. Following his wrestling career, his representatives reportedly pushed him to stop working out as much and start taking family friendly movies. In short, he was pushed to try and be someone else. "I was told that I had to conform to a standard in Hollywood that would beget me more work, better roles. Which meant I had to stop going to the gym, which meant I couldn't be as big, which meant you had to distance yourself from wrestling. You essentially had to deconstruct yourself." The movie industry isn’t a black and white business. What works for one performer’s image doesn’t necessarily work for another. The history of Hollywood is littered with a lot of action stars who lacked charisma. The Rock most certainly doesn’t. As such, it makes sense people would have wanted to push him away from traditional and intense action roles, but clearly, that wasn’t the right decision. 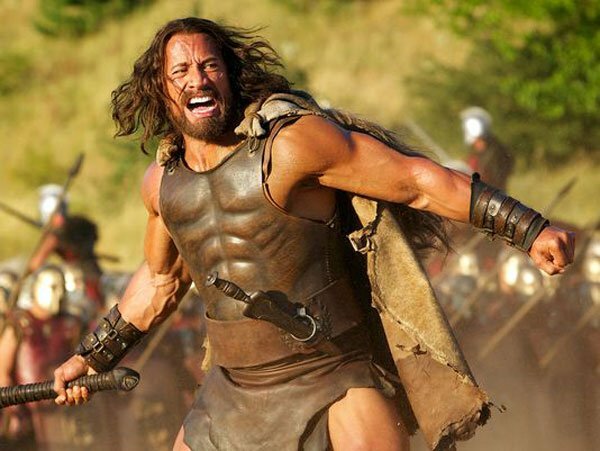 Fortunately for all of us, The Rock was eventually able to find the right path, and there’s no reason to think he won’t churn out an army of badass action movies for the next decade or so.